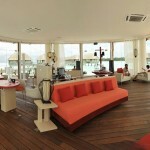 Club Med Kani, located in the Maldives, a private island paradise overlooking a secluded lagoon on a coral reef. 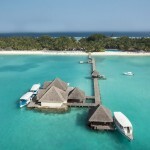 From a distance, Club Med Kani emerges like a garden island poised on turquoise waters. 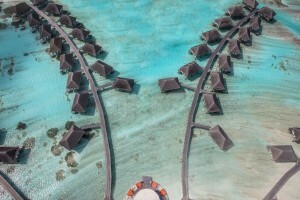 This tiny paradise in the Maldives archipelago, exclusively reserved for Club Med guests, has 75 Suites on Stilts (overwater bungalows) amongst other styles of accommodation to choose from. What sets this resort apart would be the atmosphere. 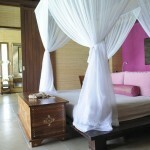 Here you can enjoy idyllic seclusion but still find entertainment and activities should you choose. Club Med Kani welcomes children from 2 years old and while there are no formal children’s club facilities, the destination is the playground! 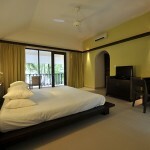 Please note: parts of this Resort are not accessible to people with reduced mobility. 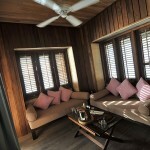 Club Med Kani has 216 rooms scattered in an idyllic setting. 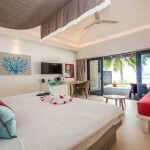 Suite- overwater bungalow* with extra benefits! To make your stay unique and unforgettable, treat yourself to a charming Suite* with its private terrace from which you can dive straight into the sea, with a magnificent view over the lagoon. Located within “Manta” you have access to a dedicated lounge poised on the turquoise waters as well as many other extra inclusions. 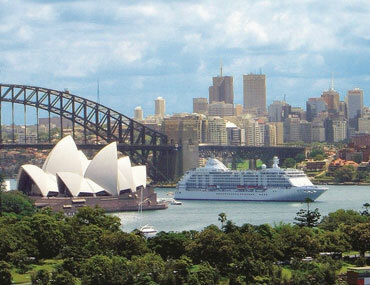 *Tidal conditions applicable and guests must be 14 years or older. 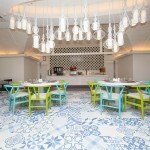 International and traditional Asian cuisine are served at the buffet in The Vehli. Savour the exotic names and flavours of these delicious dishes. 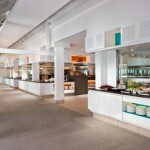 Our team of chefs also produces a selection of low-calorie dishes every day. Dine indoors or on the open-air terrace. 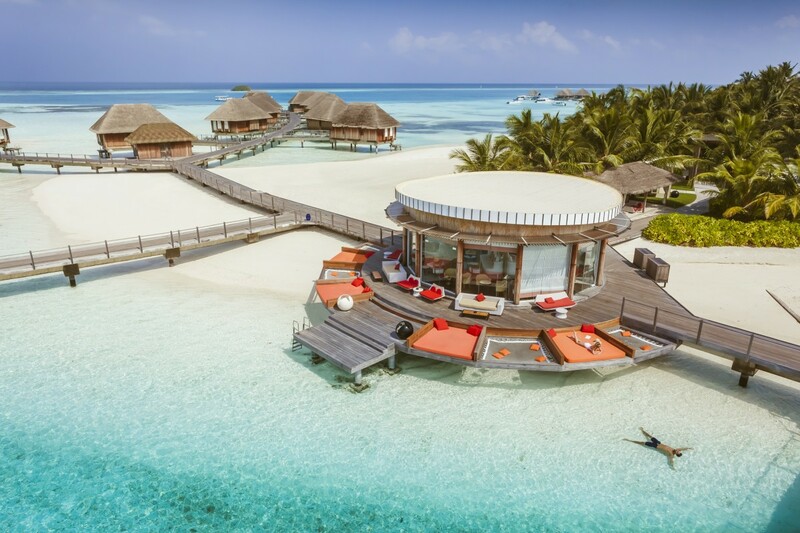 The speciality restaurant, The Kandu, is in an idyllic setting, in the shade by the turquoise waters of the lagoon – an experience not to be missed! It’s open for breakfast, late lunch, and snacks during the day. 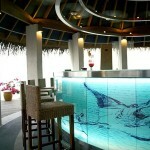 In the evening, there are two menus to choose from, including one lobster menu (additional cost). Bookings are compulsory for the evening and are made with Reception. 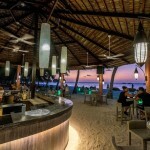 You can enjoy a drink all day and in the evening along with the bar opening hours at The Sunset, which has a lovely teak terrace, adjacent to the swimming pool. As its name indicates, in late afternoon and evening, you can watch the sun go down and then the starry night sky appear in this setting straight out of paradise. 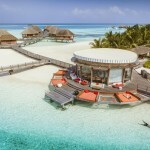 On the edge of the lagoon, near the Kandu restaurant, the Iru bar gives you a magnificient view over the turquoise waters of the lagoon. What greater luxury than sipping your drink barefoot in the sand, in the shade of the coconut trees…and it’s all included at Club Med Kani! 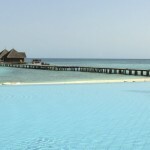 The infinity pool at Club Med Kani is in a lovely location not far from the water’s edge but with 775 metres of sumptuous fine sandy beach that runs around the Resort and crystal clear waters at 28°C, the beach is really the main attraction. 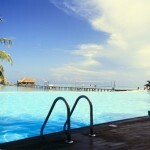 The beach and pool area is equipped with deckchairs, sun umbrellas, hammocks showers and a beach bar. 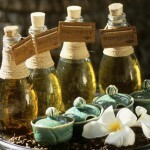 Club Med Kani Spa by MANDARA* reflects the soul of the most ancient rituals of Asian culture. 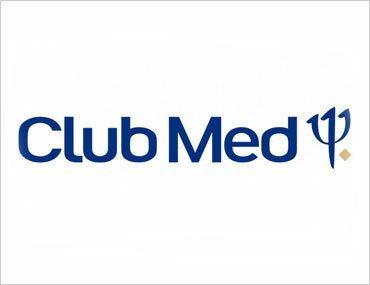 Cluib Med offer 7 individual treatment rooms or “duo” rooms for tandem treatments. 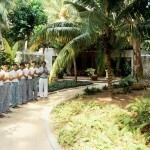 These treatment programmes are organised around a theme, which adds to the experience. When you book your holiday, you can purchase your Spa package and then you are guaranteed of doing the treatments of your choice. The precise time of your appointments will be fixed with the Spa hostesses when you arrive and we recommend you do this as soon as possible. Let your 5 senses go, under the gentle touch of the professional spa practitioners to a place of relaxation and well-being. 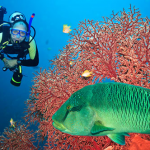 So many people come to the Maldives for the Scuba Diving and within and beyond the lagoons of Club Med Kani, a huge variety of corals and sea-fans, where sharks, grouper fish, manta rays and stingrays, lion-fish, and moray eels create a vast natural aquarium to visit. 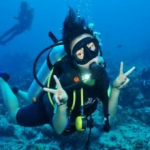 If you need to refresh or you have never dived before, Eurodivers scuba-diving centre offers a range of courses and packages to ensure that participants gain the maximum benefit from this incredible experience. Banana Reef (from 9 to 30 metres / 30 to 100 ft) renowned for its reef fish. Furana Thila (from 12 to 30 metres/ 40 to 100 ft), a great variety of fish species. 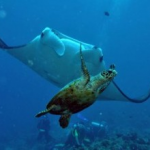 HP Reef (from 12 to 30 metres/ 40 to 100 ft), with many types of reef fish including eagle rays and turtles. Nassimo Thila (from 15 to 30 metres/ 50 to 100 ft), a spectacular dive into the universe of pastenague rays, barracudas and turtles. Okobe Thila (from 16 to 30 metres /53 to 100 ft), white tip sharks and barracudas are among the species you’re likely to spot. *Additional costs apply and you may be required to take certain documents. 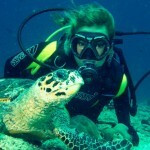 Please ask us for details if you plan on booking for scuba diving. Chickens, Ninja’s, Sultans, Jails and Full Moon Resort Point. The “Club Med Kani Sailing Academy” offer the best equipment and facilities for sailing enthusiasts. Beginners and advanced participants alike will be able to enjoy their sport! Beginners and advanced participants alike will be able to enjoy their sport! Club Med Kani also offer beginner/initiation group lessons for Snorkelling, Yoga and Aquafitness. Club Med Kani has a weights and cardio-training room, beach soccer & volleyball, volleyball, waterpolo, table tennis, bocce ball, giant chess board, basketball, badminton, kayak, glass bottom kayak. 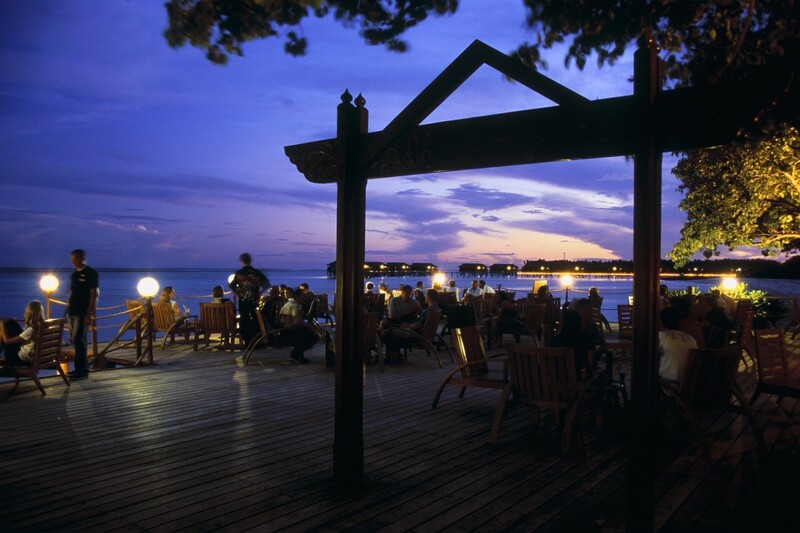 While Club Med Kani does not offer the typical Club Med “shows”, they do provide entertainment most evenings. Once again, you can choose to join in or opt for a quiet night. 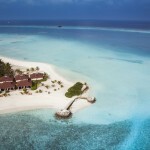 Maldives is all about water and Club Med Kani’s excursions are no exception. 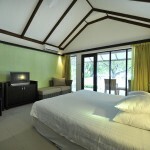 Here is a sample of the packages offered by Club Med Kani. 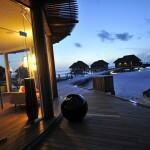 Angling – Enjoy this exceptional experience, discover the joys of angling in the Indian Ocean. Two hours’ of fishing in the Maldives on a small flat bottom boat just off the coral reef. Sheer, undiluted pleasure. Blue Lagoon (1/2 day) – A speed boat takes you out for a half day trip to the North Malé Atoll where you’ll visit a local village to discover local life and do some shopping. 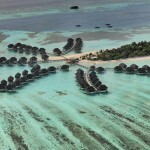 You will then be taken to do some snorkelling, to admire the fish and coral characteristic of the Indian Ocean. 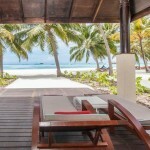 You’ll stop over on a sandbank on the way back, to relax and sun-bathe… a great choice. Glass bottom boat (1 hour) – Discover the underwater life through the boat’s transparent hull, so you can admire the fish without getting wet! Island flyover in a hydroplane (20 minutes) – Magnificent aerial views of the North Malé Atoll in a hydroplane (20 minutes). 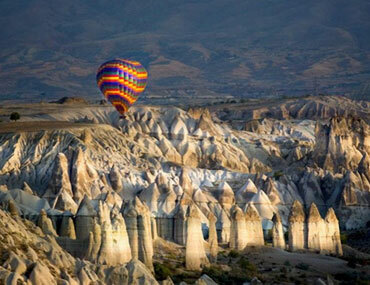 Take some exceptional photos or simply admire the beauty of the landscape. Parasailing – Towed by a boat, glide over the Island of Kani and admire the beauty of the landscape from the sky. 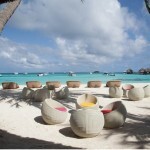 Picnic (1/2 day) – On this half-day excursion, enjoy crayfish on a sandbank just 10 minutes by boat from Club Med Kani. 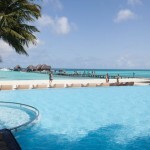 Swimming, relaxing and snorkelling are the order of this fabulous half day on the lagoon. 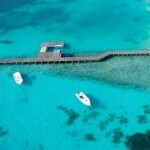 Private boat (à la carte) – Visit the superb islands in the North Male Atoll in a speedboat with family or friends. Tubing – This is a great activity for thrills without spills! Safely installed in an “inner tube”, you’ll be towed by a boat for a great 20 / 30 minute ride over the water. 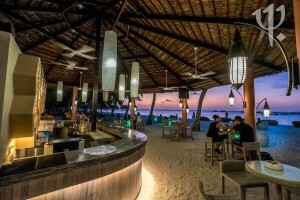 While Club Med Kani does not have any formal facilities for families, it still offers an excellent destination for those seeking an idyllic paradise without kids clubs.